ATS Complete Auto Repair provides Ball Joint Replacement services to Eau Claire, WI, Chippewa Falls, WI, Lake Hallie, WI, and other surrounding areas. 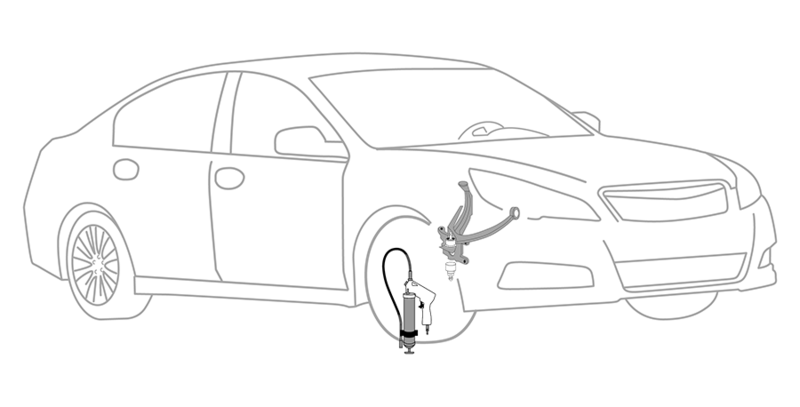 Why Should You Have Ball Joint Replacement Services Performed at ATS Complete Auto Repair? We proudly service the Ball Joint Replacement needs of customers in Eau Claire, WI, Chippewa Falls, WI, Lake Hallie, WI, and surrounding areas. ATS Complete Auto Repair is a pillar of the Eau Claire, WI community. ATS Complete Auto Repair is a leader in offering name brand tires, auto repair and brake services for customers located in and around the Eau Claire, Wisconsin area. Our goal is to focus on customer service. It is the foundation of our business. ATS Complete Auto Repair employs a well-trained staff specializing in the sale and installation of passenger car, performance and light truck or SUV tires. Complete under-car services, such as oil changes, brakes, shocks, struts, alignment, and transmission fluid flush for both foreign and domestic vehicles are readily available at competitive prices. Take this opportunity to browse ATS Complete Auto Repair website or call us for personalized service.